Reclining back after finishing your domain listing when the phone suddenly rings and on your screen flashes the number 02071936574. If you want your freshly listed domain to be busier than a freeway on a Monday morning- picking the phone up right about now is the best possible option that you can levy. The call you received was from one of the leading digital marketing and Website Development Company in India with branches spread across 4 major continents- namely, India, New York, Sydney and London. But then again what or who is Accenza? Accenza Pvt.Ltd is a sound venture handcrafted with expert craftsmanship and skill by one of the founding teams of the multi-million dollar NASDAQ listed Groupon in Asia. It is the same that assisted in Google’s growth pertaining to the region. So what is it that we basically do? Heard of Growth Advertising? What is your final product- who are you targeting- what is your final profit module? A listed domain often unveils a common set of questions starting with constructing the web portal either from scratch or by changing the face of the platform to give it a fresh new start. It doesn’t stop with website designs and layouts but the website development and responsive– the two primary html play that launches your site on the server and allows live traffic to flock. The responsive which is basically making your business mobile-ready also needs a stable set of hands to make this happen and thus, the entire project gets a new life breathed in. Now for the traffic increasing- how else will people know about your business if you don’t boast about it a bit? You can try sticking a poster in every front door or you can just use the endless possibilities of the world wide web and top the digital game with finesse. Growth Advertising, Brand Recognition, Digital Marketing, SEO, SMO– some of the common terms you must have been accustomed with before and today we’ll make it happen, keeping you in the loop every time we ask the genie for a favor. We promise to get your business right where you want it to be- on top of everyone- or probably topping Google’s first page list. Not sure what to do once the website is up and running with people flocking to it in an almost satisfactory manner? That’s when our content curators and social media managers dip into the pool allowing you to relax while we curate, update and shape up your business, one step at a time. In this long frenzied run of absolute competition, a veteran friendly hand on the shoulder doesn’t sound all that bad does it? So, the next time the phone rings, give us a quick chance and let us serve you the best steaming ideas on a gold platter and together we can surely make this magic happen! Visit our official website and check out our portfolio https://www.accenza.com/ and if you fancy what comes across do drop us a quick mail at contact@accenza.com. Categories: Internet Marketing, web design | Tags: 02071936574, Digital marketing, Ecommerce Web Design, ecommerce website, Search Engine Optimization, SEO, web design, web designer, website design | Permalink. Why do we need professional search engine optimization services? To get traffic from free organic natural or editorial search results or search engines. Today internet is the most powerful tool. With proper optimization, your website gets more visibility, which in turn means more sales and profit. Appearing on the first page of search engines is a big deal. And given the ever changing landscape of SEO, it’s hard to keep up! You have to let the best search engine optimization company take charge of the tactics while you focus on the business/industry front. If you are utilizing your online presence to the fullest, you are missing out on a lot. But not all companies have the same need when it comes to internet marketing. Tailored solutions must be incorporated. First a detailed analysis of the requirements must be made, based on which a plan must be made. SEO is only the beginning. It is nothing new but the approach must be new. It is just a small part of meeting your larger marketing goals but it is still important. If you have hired the right company, you will see them figuring out a result driven approach- there is no thing as one-size-fits all. All content, design, usability and everything else must be optimized so as to take the online marketing to the next level. Accenza understands that website optimization and internet marketing goes beyond keywords and targeting everything. It all begins with designing the website and content rich websites take planning. Online architectural design principles, combining information delivery and more are implemented to satisfy visitor’s needs. You need an entire package to boost your online presence. These will primarily include- keyword analysis and strategy, website architecture optimization, code optimization, social media integration, build link property, conversion rate optimization. You will need tailored solutions like SEO consulting and analysis and so on. If you are looking to increase relevant website traffic, convert that traffic, boost brand awareness, improve website performance and improve usability, you must get in touch with Accenza. Categories: Internet Marketing | Tags: Accenza, search engine optimization company, SEO, web design | Permalink. Digital marketing relies a lot on the internet- it uses the internet to markets a brand, product or organization. Slapping a banner ad or buying a few Google Adwords is not enough- in order for it to be effective, it requires adept intellect and experience. The upside of using digital media is that it has an eternal lifespan. A billboard comes down in a month or two but once you put it up on the internet- even a lousy info graphic if pushed down on busy social networks, it’s going to stay. It is all about a careful integration of appropriate tools and tactics that support one another and show desired results in the end. Just adding content to your blog is not going to get you anywhere; it has to be optimized and shared across social networking platforms. Creating a website gives your brand an image and identity. You also get to reach a wider target audience. The whole idea is to engage customers and allow them to interact with the brand. But just as mentioned before, just adding content would not do. You’d have to optimize it as well. It all comes down to getting your website on the first page of the search result. Only good SEO, SEM and Social Media will help do that. SEO – will determine your webpage presence on the search results in search engines. SEM- monitoring the popular and trending and relevant keywords helps the business. Updating status on Facebook, Twitter and other Social Media platforms gives brand exposure. Up to here your work is half done. To further enhance your web presence, you will have to engage in other effective ways like directory submissions, social bookmarking, blog comment and participating in question and answer forums. You will also have to keep the content fresh by updating it on a regular basis. Only high quality and informative content ensures visitors coming back to your site. All this is really not that hard- if you know where to go and who to get it done by. Hint- Accenza. Email marketing, Google Analytics, Webmaster Tools, keyword research and whatever else is required to give your business a position in the first page of the search engine is what this digital marketing agency is known for across four continents. Categories: Internet Marketing | Tags: Accenza, Digital marketing, Google Adwords, SEO | Permalink. In order to create an online presence, a website is a necessity. 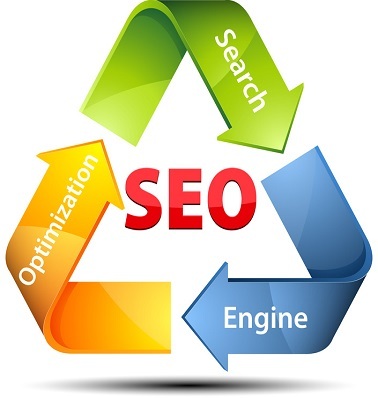 And in order to increase productivity and sales you must ensure it is search engine optimized. Search Engine Optimization (SEO) is a marketing strategy. It helps improve traffic, quality sales leads, expands business worldwide and boosts sales. But not all of us are familiar with the technicalities of internet marketing strategies, so we have to rely on the best search engine optimization company to help us with the same. But you must have noticed how difficult it is to identify a good company from the ones that claim to be the best but are not up to the mark. You must do a little research on the company and then take a call. A good company will stand out from the rest. It will have a good reputation and a strong clientele base. They will have testimonials on their website. They will also have a good ranking on Google and other search engines. You must steer clear of companies that offer too good a deal. Ideally an expert and the likes of best search engine Optimization Company will be interested in making a long term relationship with their clients. They will not make false promises and will always take your suggestion or feedback before they go ahead and make any alterations. You would always be kept in the loop. The dedicated account manager will also educate you about how SEO marketing can help give your business that much needed boost. They will also help you choose a good package. So you can begin with a list of successful SEO companies. You can do a little background study of your own and get all the required info. You must also keep in mind that a good search engine company must not only rank well in just one search engine but in at least three of them. If you take a look at the key phrases they have used, it will give you an idea of how they fair in the internet marketing field. They must also take up the challenge of making you a custom ecommerce website design. It is one of the pre requisites of bringing your business to the forefront. Categories: Internet Marketing | Tags: custom ecommerce website design, Search Engine Optimization | Permalink.